Like so many of my generation, born at the end of World War II, I had missed the deprivation, rationing, and closeness to the casualties of war that defined my older siblings’ childhood. Until my mid-teens, life was defined by Catholic school and church, an Irish/Italian neighborhood, the comfort of the middle class in the suburbs of Boston. Out there, somewhere, there were beatniks, un-American activities trials, racism, and deep misogyny, the Cold War and its fanaticisms, all of which I was fairly unaware of in the insulation of family, church, school, and neighborhood. And then, seemingly overnight, the world changed. 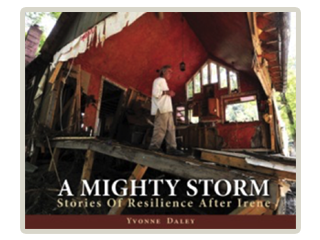 Yvonne Daley is a journalist, book author, educator, publisher and director of a writers’ conference in Vermont. In her writing, she has concentrated on issues at the heart of what it is to be living on this beautiful planet: the environment, creativity, human rights, community, war and peace, resilience and healing. These subjects are always in context with the human story as she employs real people’s stories to illustrate, for example, a community’s response to devastation in the wake of a tropical storm or a young athlete’s disabling head injury; the clash between progressive politics and new money as seen in an iconic San Francisco neighborhood; or, as in her most recent nonfiction book, the impact of the counterculture on Vermont and the state’s impact on the generation of hippies, back-to-the-landers, dreamers and political activists who moved by the thousands into the tiny state in the 1960s and 1970s. 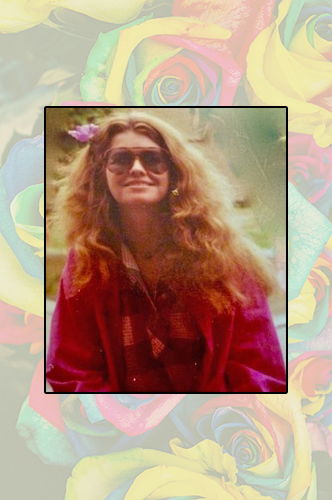 Since moving to Vermont herself as a young hippie in 1967, she has called Vermont home, even when working elsewhere.The mother of five children, Yvonne lived in the mountain town of Goshen where she briefly raised milk goats and grew the family’s vegetables. Subsequently, she worked for 18 years as a journalist for the Rutland Herald, Boston Globe, Time, Life, People, Washington Post and many other publications, winning many of the profession’s top prizes including Vermont Reporter of the Year, the New England News Editors’ Master Reporter Award and the John S. Knight Fellowship in Journalism at Stanford University. She is the founder and director of the Green Mountain Writers Conference and founder and publisher of Verdant Books, a writers’ collaborative. For 17 years, she taught journalism at San Francisco State University. She is married to the writer Chuck Clarino and together they raise Maltese dogs at their home in Rutland where she restores her mental health by gardening, making pies and visiting with her children, grandchildren, friends and neighbors. Stories are at the heart of it, the stories we tell about ourselves and others, stories that help us to understand one another, to find solutions, to each do our best to make the world a safe and enduring place. 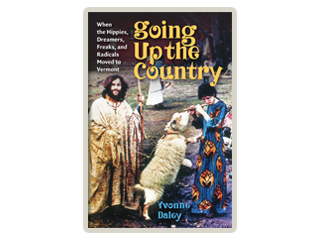 Going Up the Country brings you the stories of the hippies, dreamers, freaks and radicals who moved to Vermont during the 1960’s. 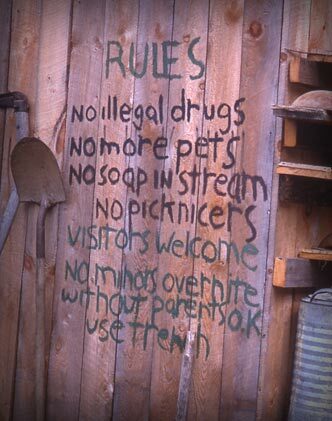 Lucky me, I moved to Vermont in 1967 with my first husband as part of the back-to-the-land movement. I was a dreamer … naive and unprepared for country life. Generosity prevailed among my neighbors and that of so many of us who came here, whose stories are contained within my new book. Enjoy. 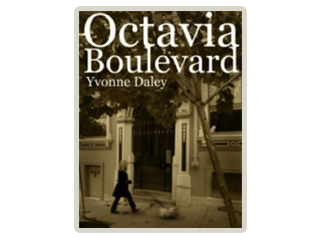 In Octavia Boulevard, we follow Yvonne Daley as she chronicles the lives of her fellow apartment dwellers, the characters of the neighborhood, and the economic changes that threaten the city’s reputation as the center of the free spirit. Tropical storm Irene roared into Vermont early on Sunday, Aug. 28, 2011. By morning, it was pouring up to 8 inches of rain and twelve hours later Irene was gone, leaving destruction and transforming Vermont forever. In 1979, 17-year-old Lenny Burke lay in a deep coma, his brain swelling from severe trauma from a basketball accident. 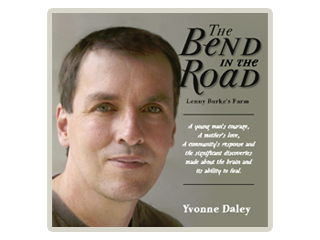 This is a book about Lenny’s journey towards healing, the people in his life and incredible courage. Vermont is home to some of America’s greatest writers. Is there something about the place that speaks through them? 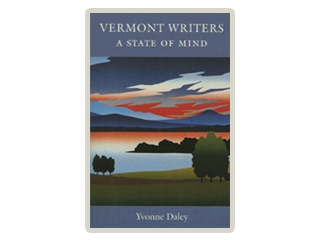 In this book, twenty-one contemporary Vermont authors are profiled along with examples of their writing. 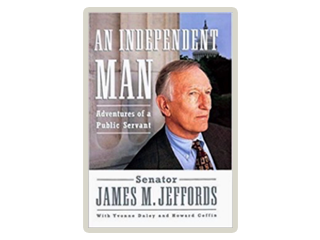 Vermont Senator Jim Jeffords’s disarmingly frank memoir recounts his idyllic small-town childhood in Rutland, Vermont, his somewhat unruly adolescence, putting himself through Yale University, time in office and much more.